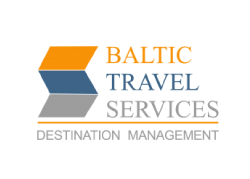 Baltic Travel Services is reliable, dynamic Destination Management Company (DMC) in the Baltic States, providing the complete range of services for individuals, groups and businesses. Baltic Travel Services combines local knowledge with guaranteed high quality service at competitive rates. The Baltic Travel Services team delivers customized itineraries, one stop shopping, comprehensive and innovative programs, reliability and excellent value. Baltic Travel Services understands each customer's unique needs and goes the extra mile to meet them.